If you’re planning a trip to La La Land, here are some of the most photogenic spots around the city – and some of my favourite things to add to your itinerary. Hire a bike or some roller-skates and spend the day exploring the Venice boardwalk, Muscle Beach and the skate park. Venice is full of colourful characters, quirky markets and a beautiful beach. Roll your way to Santa Monica Pier – the wood pier is one of the most iconic and recognizable landmarks in all of LA. Whether you’re snapping photos of the Ferris wheel, kitschy restaurants, or the shoreline—definitely stick around for the pink and orange sunsets. 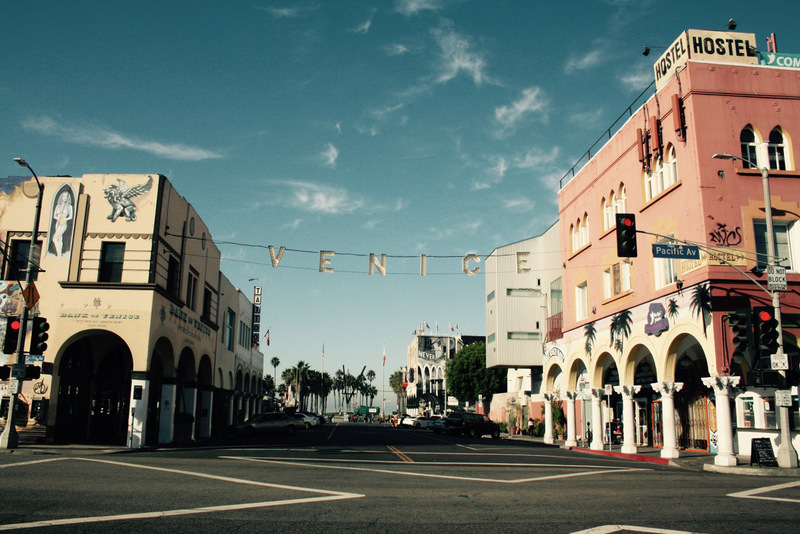 Insider tip: Pay a visit to Hotel Erwin and take in the views of Venice Beach. The hotel’s restaurant is open for breakfast, brunch and dinner daily. At night, the rooftop High Lounge shakes cocktails and has DJs spinning. If you didn’t ’gram from Urban Light, did you even go to Los Angeles? 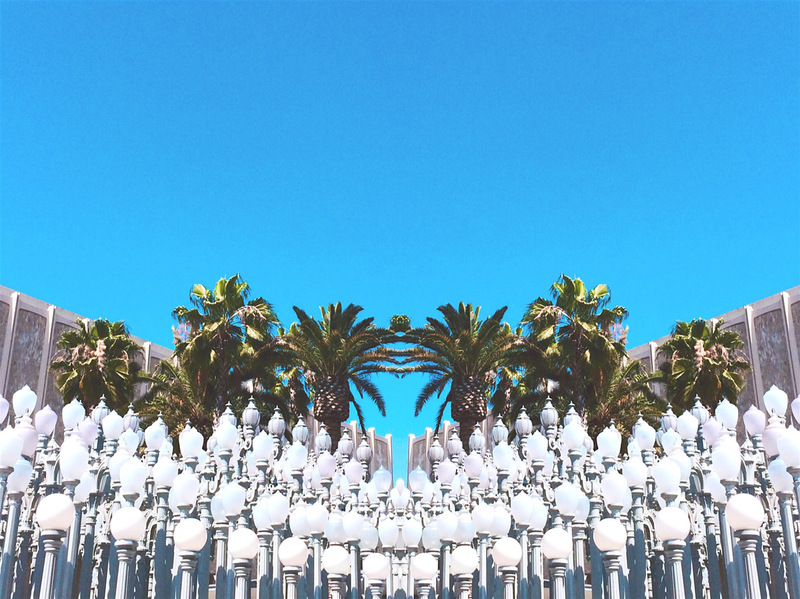 An Instagram favourite since it opened in 2008, the installation of 202 historic street lamps is located outside of the museum’s entrance on Wilshire Boulevard. It’s almost impossible to take a bad photo of it. The museum has plenty of other photogenic spots too so definitely worth venturing beyond the lamps. 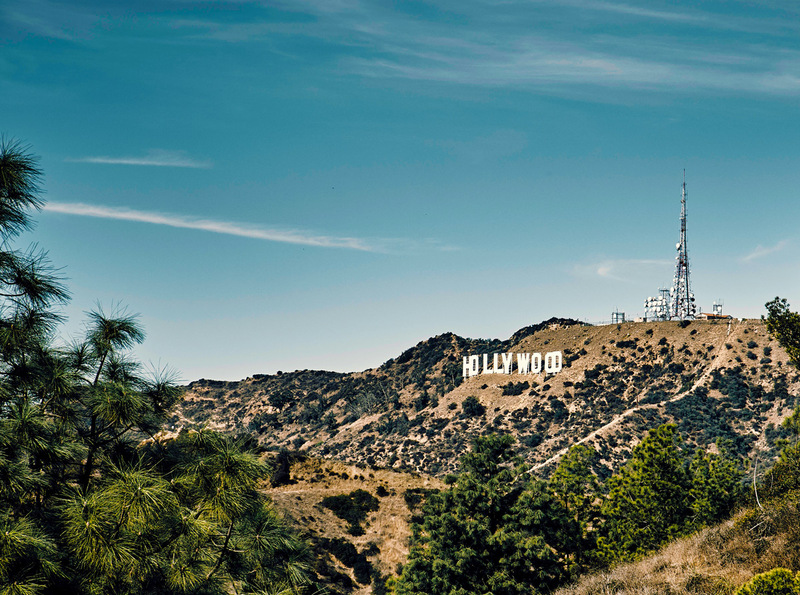 Pack your walking shoes and set out for a hike behind the Hollywood sign for another breathtaking view of the city. The trails are easily accessible which means it can get crowded at times. Visit early in the morning for the best light, cooler weather and when it is a little quieter. Insider tip: The best view of the sign can be accessed from 3000 Canyon Lake Drive. 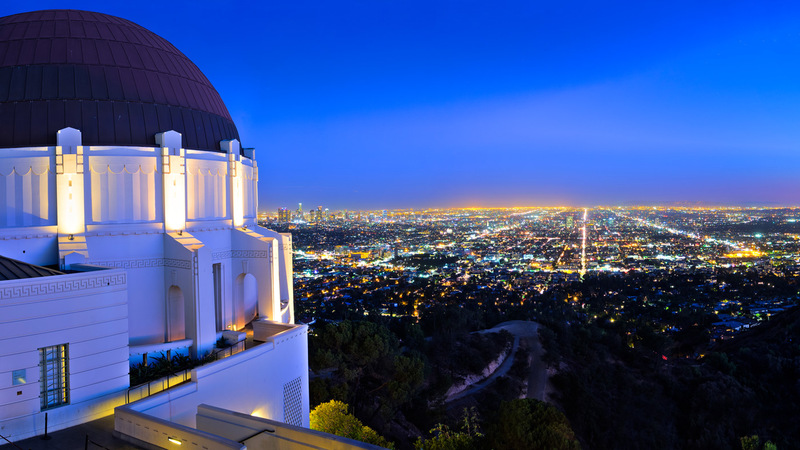 In the hills looking down over LA, you’ll find the best views of the city at the observatory. Go before sunset to watch the glistening city lights below, and make sure you explore the planetarium and telescopes. My afternoon spent at the observatory is one of my favourite memories from my time in LA. 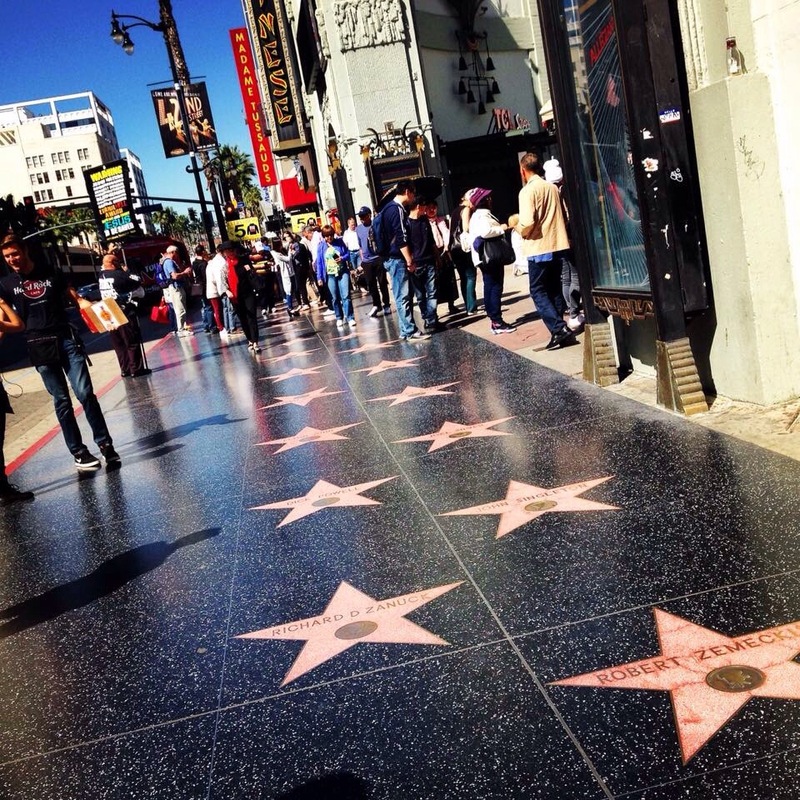 Hollywood Boulevard is an LA must-see and an opportunity for a touristy photo with your favourite celebrity stars. Some of the most notable names are located between the 6800 and 6900 blocks. While you’re there, pay a visit to the Chinese Theatre. It opened in 1927 and has a tradition of celebs imprinting their hands or feet into the cement – more than 160 famous names have contributed. 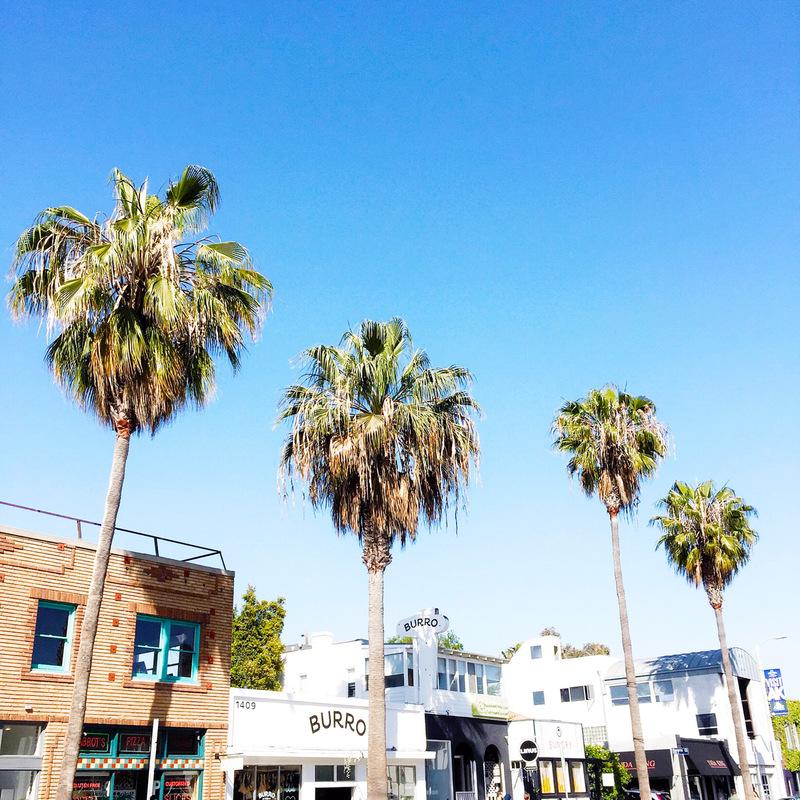 Throughout the glamorous 90210 zipcode, you’ll find street after street of beautiful palm trees. 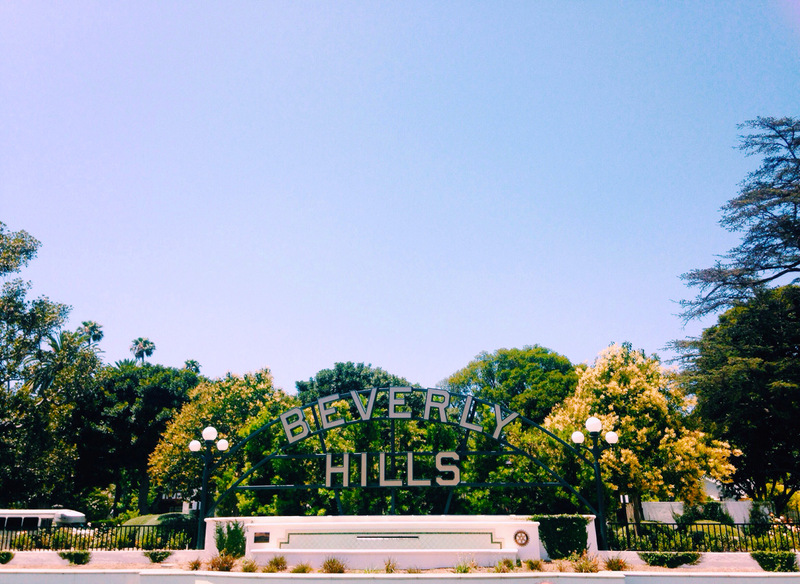 Other photo opportunities are the Beverly Hills sign, aesthetic cafes, and the Beverly Hills Hotel. Go window shopping down Rodeo Drive and daydream of your designer wardrobe. Sometimes dubbed the coolest block in America, it’s easy to understand why. Located just beside Venice beach, this mile-long strip offers classic California cool. From the cafes to the shopping to the art galleries and more, this place is jam-packed with colour and street art. You’ll instantly feel more hip when you hang out here. Insider tip: Start with brunch at The Butcher’s Daughter, stroll along the street checking out murals and shopping, grab some afternoon ice cream at Salt & Straw or coffee at Blue Bottle. We fly to Los Angeles every day from April and up to 5 times a week until the end of March. Book your trip to Los Angeles now at aerlingus.com.